What is important, meaningful or sacred to you? 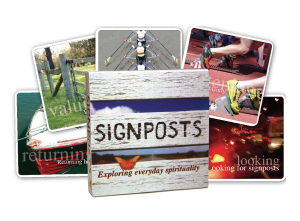 Signposts is set of 48 cards for building meaningful conversations about spirituality, connectedness, faith and transformation, while recognising and celebrating the diverse ways in which people express their innermost beliefs. This tool is not based on particular theology or philosophy, but offers ways to reflect on life’s purpose and to convert values into actions. Each card combines a powerful, evocative, full-colour photograph with a few simple words. The result is a stunning set of cards that can revitalise our practice of contemplation and create dynamic conversations with others about matters we hold closest to our hearts. Choose a card at random. Think about both the picture and the text. What are all the possible meanings this card has for you? At what times in your life have you felt closest to these meanings? What challenges does this card have for you? Choose a card that resonates with you for some reason. Can you finish the sentence: ‘I chose this card because…’? Try listing all the words that the card evokes for you. If you are part of a spiritual tradition, religion or denomination, which Signpostscards are central to this tradition? Do any of the cards surprise you? Do they say something about spirituality that is new to you or that you haven’t thought much about? This captivating set of cards is an ideal resource for chaplains, psychologists, spirtual counsellors, creative therapists and social workers. Signposts is also perfect for families looking for a gentle way to open discussions about values and beliefs with children and young people. 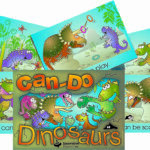 I love the Signpost cards and have used them extensively in work with young people and in training in Wales, UK. Recently I used the cards as part of our pan-Wales training on ‘Hidden’ (an education resource on sexual exploitation) for the Welsh Government. I have had so many positive comments about the cards, and many people have asked where the cards have come from. Fantastic resource for use within ethnic minority communities, with young people and professionals. Many thanks! 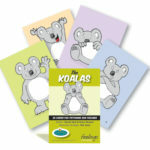 I regularly use Innovative Resources’ card sets to work with grieving clients. Symbols has been a particularly useful and gentle way to create conversations about the grieving process. Recently I tried the Signposts cards in a similar situation. I’ve had them for quite some time but never really thought of using them in a grief and loss setting. How wrong I was. Signposts has proved to be a valuable tool for recognising and talking about the different stages of grief, the learning and wisdom that can result from grief, but also the realisation that all of us live with grief and create our own meaning from it. A truly beautiful and life-affirming resource. There are two groups of leaders, around ten 18 to 25 years old, who meet fortnightly with me at Kew Baptist Church. We have used the Signposts cards on several occasions, putting them up in my lounge room all over the windows (you know, those little European windows? We can fit the set of 48 in the lounge bay). We’ve used them to prompt discussion about the things that nurture us in our spiritual well-being. It’s been lovely to hear young people affirming one another’s gifts too. We have also rearranged them according to what we would love to be better at! I left up the cards up in our lounge for about a month and it prompted some interesting discussion with visitors. The enjoyment of lying on the couch looking at them myself was great too. During our evening services on Sunday nights we have used a data projector to scroll slowly through a selection of Signposts images, accompanied by music, as a different way of doing congregational prayer. It has been really meaningful, allowing people to pray from where they are at. The hardest thing was choosing 10 out of 48! It was relatively simple choosing 25 that would be good for us, but getting it down to 10 that represented us in our diversity was excruciating! We’ve been grateful to use these with your permission. At the beginning of my workshops I invite each participant to choose a Signposts card they like, whether it is because of the image or because of the words. When everyone has chosen a card they are invited to pair up. Each person in the pair then takes a turn to speak about themselves (using the card as a prompt) for two minutes while the other person listens—and when I say listen, that’s what I mean! Participants are given two minutes to speak about why they chose that particular card and what it means to them. At the end of two minutes the roles are reversed. There are a variety of responses to this activity including, ‘Two minutes is too long’, and ‘Two minutes isn’t long enough.’ The interrupters talk about having to bite their tongues and not interrupt and this prompts people to reflect on how often they do interrupt. Others reflect on how uncomfortable they are talking about themselves for two minutes, and others mention how uncomfortable they are with the silences. This activity is great with people who have known each other for many years. A group of employees at a local bank recently participated in this activity. One participant reflected, ‘I have just learnt more about Jodie in two minutes than I have in the past 18 years.’ Powerful stuff! The reason I do this activity is to set the theme of valuing children and young people. Many of us, in our busy-ness, don’t take the time to really listen to kids—to hear their stories. When we stop, listen, wait during moments of silence, we are open to hearing some truly amazing things. Some people think and talk really quickly; others process their thoughts and share their words more slowly. If we are going to ask a child or young person a question or invite them to share a story—if we are sincere about valuing them—then we must listen. I have been amazed by the number of people who have shared with me how much they have learned not only about their kids, but about other people’s kids by truly listening. Robert Prior & Jim Bright (2011). The Chaos Theory of Careers: A New Perspective on Working in the Twenty-First Century. New York: Routledge, p.129. ‘Signposts cards (Deal & Masman, 2004) are a set of 48 cards designed to explore ‘Everyday spirituality’. The cards are designed not to be specifically religious but to prompt reflection about meaning and significance. Each card contains an engaging photograph and an accompanying phrase such as ‘standing in uncertainty’ (a man standing on a train platform with a train rushing by). These cards are a useful way to explore clients’ deeper values and from a CTC [Chaos Theory of Careers] perspective help a client to understand the dimensions of an individual’s strange attractor, the limiting forces that values have in shaping behaviour and that may become particular strengths. The evocative nature of the cards tends to provoke clients to consider their careers in terms of emergent values, which in turn can create new possibilities and clarity. One way of using these cards with clients presented itself serendipitously while planning to train a group of counselors in the use of these cards. Only one set of cards was available from the publisher for the session, which meant that training participants would be obliged to share. The presenter decided on the spot to deal the cards out in turn like a game of cards. The trainees were divided into pairs to play a game. They spread out their hand of cards on the table for the other person to see. Then each player took turns to request a card from the other player’s hand that they particularly liked or identified with; however, the other player did not have to agree to the request. The result was quite animated “horse trading,” and it was interesting to see how passionate the players were in their requests and refusals, as they developed a strong sense of ownership and identification with the values depicted. I wanted to let you know how I’ve been discovering wonderful new uses for some of your cards in my work with students of Creative Arts Therapy at RMIT. My recent purchase of the Signposts cards has come in very handy. I ran a workshop that involved challenging students to consider their assumptions and philosophies about ‘Art’, in order to be reflective about how they utilise the arts in their therapeutic work with people. To facilitate this reflection, we engage in quite a kooky drama to explore the question (a spoof on Plato): ‘Is art art because the gods love it, or do the gods love art because it is art?’ We all dress up in costume as various strange gods-like characters AND THEN each character selects one of Signposts cards, which becomes the value system through which they decide what art really is! Might sound confusing, but it works! We discuss—in character—what is important to us in regards to art. Then we each make a piece of art informed by the value system inspired by the Signposts card. This process opens students to new perspectives, creating (often hilarious) dialogue, ways of seeing, interpreting and valuing of diversity. And sometimes quite surprising characters emerge through the process, challenging students to consider roles within themselves that are maybe not so frequently expressed in day to day life. In several visits to Japan over recent years I have appreciated using The Bears and Strength Cards published by St Luke’s Innovative Resources and translated into Japanese in 2004. As a counsellor and facilitator working in grief and bereavement education it has been exceptionally valuable to draw on these resources to enhance individual work and group dynamics. In July this year, I was excited to broaden the horizons by taking a set of Signposts and Shadows to use in the advanced level of education I deliver to Japanese health care professionals. Those attending were receptive to these creative gems, even though, in the case of Signposts, there is an English phrase on each card … and most participants do not speak English! The words were no distraction. The beauty and resonance of the photographs in Signposts transcended culture. Introducing an experiential approach to learning and working with groups in Japan has been a gentle process requiring great care, and intricate attention to detail and instruction. Sharing in pairs as a way of exploring thoughts, feelings, reactions and experiences has been greatly facilitated by using St Luke’s materials.